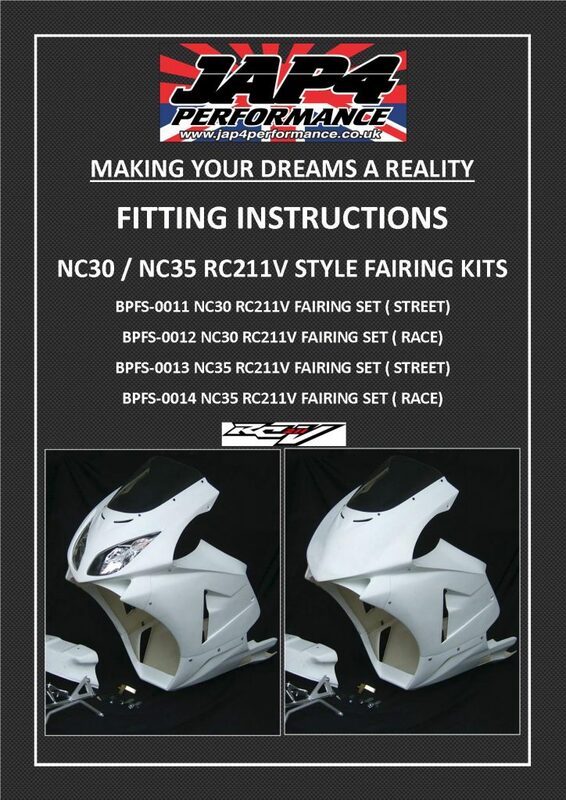 This set of bodywork requires extensive modification of the NC35 including repositioning of the instruments to gain clearance with headlights. 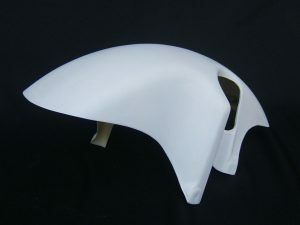 It also includes a steering stopper to limit steering movement and a tank cover since the stock air ducts are no longer required. 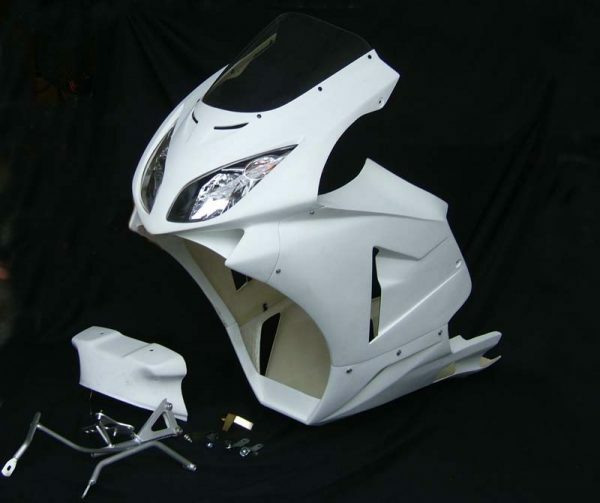 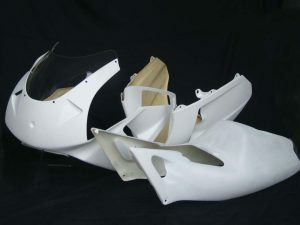 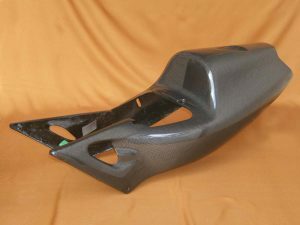 The kit faithfully reproduces many of the 2005 model RC211V fairing features including frccont air ducts, side air duct design and full console joining up to the tank. 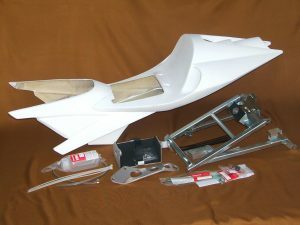 Comprises the parts shown below which are also available separately.